Biography: Professor Raj Jain is a Fellow of IEEE, a Fellow of ACM, a Fellow of AAAS, a winner of 2015 A. A. Michelson Award from Computer Measurement Group, 2014 IIISC Distinguished Alumnus Award from Indian Institute of Science Alumni Association 2014, ACM SIGCOMM Test of Time award 2006, Center for Development of Advanced Computing – Advanced Computing and Communications Society (CDAC-ACCS) Foundation Award 2009, WiMAX Forum Individual Contribution Award 2008, and ranks among the top 90 in CiteSeerX’s list of Most Cited Authors in Computer Science. Dr. Jain is currently a Professor of Computer Science and Engineering at Washington University in St. Louis. Previously, he was the CTO and one of the Co-founders of Nayna Networks, Inc – a next generation telecommunications systems company in San Jose, CA. He was a Senior Consulting Engineer at Digital Equipment Corporation in Littleton, Mass and then a professor of Computer and Information Sciences at Ohio State University in Columbus, Ohio. He is the author or editor of 12 books including “Art of Computer Systems Performance Analysis,” which won the 1991 “Best-Advanced How-to Book, Systems” award from Computer Press Association and “High-Performance TCP/IP: Concepts, Issues, and Solutions,” published by Prentice Hall in November 2003. He is a co-editor of “Quality of Service Architectures for Wireless Networks: Performance Metrics and Management,” published in April 2010. Prof. Jain has 14 patents, and has written 17 book chapters, 70+ journal and magazine papers and 110+ conference papers. His papers have been widely referenced and he is known for his research on congestion control and avoidance, traffic modeling, performance analysis, and error analysis. Google Scholar lists over 22,500+ citations to his publications. He is a co-inventor of the DECbit scheme, which has been implemented in various forms in DECnet, OSI, Frame Relay, and ATM Networks. His team has developed several switch algorithms for explicit rate-based congestion avoidance in ATM networks. Biography: Dr. Sajal K. Das is the Daniel St. Clair Endowed Chair and the Chair of Computer Science Department at the Missouri University of Science and Technology, Rolla. Until August 2013 he was a University Distinguished Scholar Professor of Computer Science and Engineering and also the founding director of Center for Research in Wireless Mobility and Networking (CReWMan) at the University of Texas at Arlington. 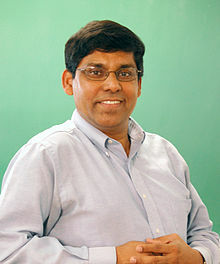 During 2008-2011, Dr. Das was a Program Director at the NSF in Computer Networks and Systems Division. In 2012 he was selected as the E.T.S.Walton Fellow by the Science Foundation of Ireland. His broad research interests include wireless and sensor networks, mobile and pervasive computing, cyber-physical systems and smart environments including smart healthcare and energy, distributed and cloud computing, security and privacy, biological and social networks, applied graph theory and game theory. Dr. Das has directed numerous funded projects in these areas totaling over $15M, and published extensively with more than 600 research articles in high quality journals and conferences. He holds 5 US patents in wireless networks and mobile Internet, and coauthored 51 book chapters and four books titled Smart Environments: Technology, Protocols, and Applications (2005), Handbook on Securing Cyber-Physical Critical Infrastructure: Foundations and Challenges (2012), Mobile Agents in Distributed Computing and Networking (2012), and Principles of Cyber-Physical Systems (2016). His h-index is 70 with more than 20,000 citations according to Google Scholar. Dr. Das received 10 Best Paper Awards in prestigious conferences such as ACM MobiCom’99, IEEE PerCom’06 and IEEE SmrtGridComm’12. He is a recipient of the IEEE Computer Society’s Technical Achievement Award for pioneering contributions to sensor networks and mobile computing, IEEE Region-5 Outstanding Engineering Educator Award, Lockheed Martin Teaching Excellence Award, and Graduate Dean’s Award of Excellence for mentoring doctoral students. 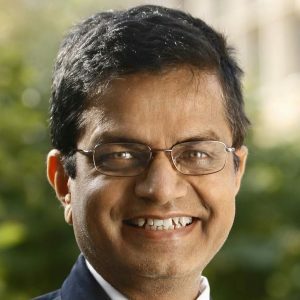 Dr. Das serves as the Founding Editor-in-Chief of Pervasive and Mobile Computing journal, and as Associate Editor of IEEE Transactions on Mobile Computing, ACM Transactions on Sensor Networks, and several others. He is co-founder of IEEE PerCom, WoWMoM, and ICDCN conferences, and has served as General and Program Chair of numerous IEEE and ACM conferences. Dr. Das in an IEEE Fellow.